Teachers have a little over six weeks to enter this year's Follett Challenge, which will recognize 13 winners who share their written and video stories on how they help prepare students for the demands of the 21st century. Follett sells print and digital content into 80,000 schools. 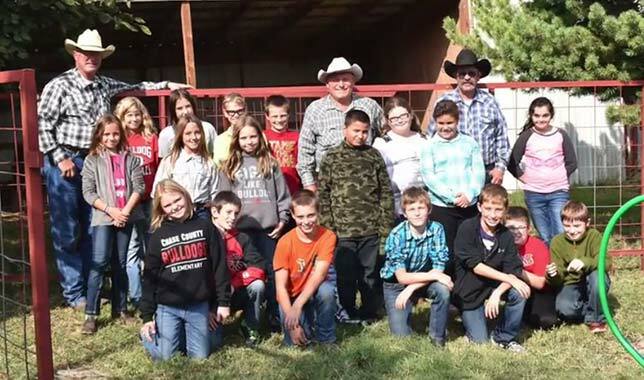 Last year, tiny Chase County Elementary School in Strong City, KS, was named grand prize winner for its project-based learning program in which students use livestock to learn STEM. At that school fifth-grade students purchase, raise and sell calves to earn profits and learn how to use technology and problem-solve. "We do everything," declared one student in a video about the project — prepping the barn, going to auction to acquire the calves, acquiring feed and tracking the expenses, feeding the livestock (including on the weekends), weighing them every 20 days with the help of local ranchers and giving them medicine and tagging and branding them. "Being named the grand prize winner of the Follett Challenge has opened doors for our students," said Chase County Elementary Principal, Pam Bevan, in a prepared statement. "Students already have had opportunities to create, collaborate, problem solve and explore with all of the wonderful books and materials from Follett. Plus, later this fall we will be dedicating our new 'Follett Challenge MakerSpace Room.'" 10 "people's choice" victors, who will receive $8,000 in Follett products and services. Those eligible to enter include teachers, administrators, parent groups and librarians and instructional technology or media specialists in public and private K-12 schools in the United States, Canada and Australia. Entrants complete an online application and upload a three- to five-minute video that describes their program. Judging criteria include how well the program involves ongoing collaboration across diverse school roles, how it encourages students to innovate using a variety of media and technology to convey their ideas and how sustainable the program is, among other aspects. Entries are due by Dec. 15, 2017. The Follett Challenge website includes resources to help entrants promote their videos for the popular-vote part of the contest, which begins in January 2018. Learn more on the Follett Challenge website.